If you get stuck in a tax audit, you have several options once the IRS makes its decision regarding your return. One option is to appeal the decision. 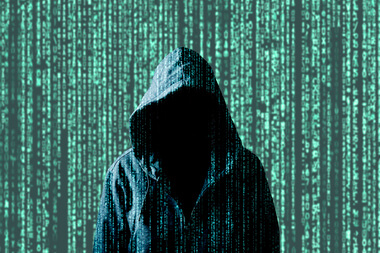 Almost all decisions made by IRS agents have appeal rights. 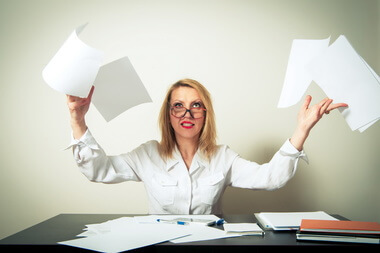 IRS appeals officers are independent of IRS examinations and collections divisions. They are charged with being fair and impartial while resolving taxpayer disputes with the IRS. They look at cases differently than an IRS auditor or collection agent would. Here's what you need to know if you decide to appeal an IRS audit decision. Frosty’s Friends is organized by Jersey Cares and aims to spread holiday cheer to children in shelters or transitional housing facilities. As a volunteer for Frosty's Friends, we had the opportunity to provide a child between the ages of 3-16 with what may be the only gift they receive for the holidays this year. Rosi Ventura Joins KRS CPAs! 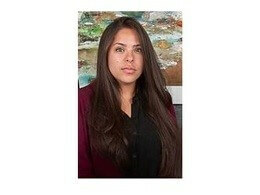 Rosi Ventura became a member of the KRS family in January of this year. She is the receptionist and first point of contact at the firm. She also has been given more responsibilities from publications to assisting the controller. 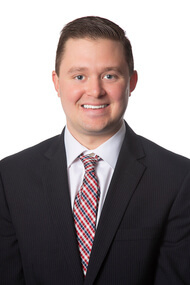 Sean Faust joins KRS CPAs! Sean Faust became a member of the KRS family in February as a Senior Accountant. He assists clients in a variety of aspects, from preparing income tax returns for individual and businesses to consulting for clients on year-end tax planning strategies. Join us on December 6 as Mark F. Kluger, Partner, Kluger Healey, LLC provides an overview of the NJ Paid Sick Leave Law including new regulations that have been issued since the law was initially passed and what employers need to know to stay in compliance. 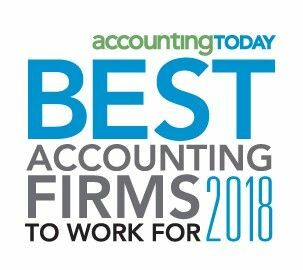 KRS CPAs was named as one of the Accounting Today’s 2018 Best Accounting Firms to Work for. 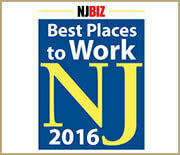 This marks the sixth time the Paramus-based firm has received this prominent award. “KRS is a growing firm and we offer our employees competitive salaries and many opportunities for them to grow in their careers,” says Managing Partner Maria Rollins, CPA, MST. 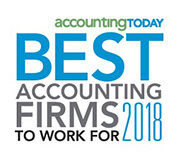 Accounting Today, the leading media and digital resource for public accountants, recognizes the best 100 accounting firms in the United States that excel in their efforts to build quality workplaces for their staff. Please join KRS CPAs in collecting non-perishable food for the NJCPA annual food drive to benefit the Community FoodBank of New Jersey! Bring any non-perishable food to our offices by November 14. There are all too many people here in New Jersey who have been left behind despite economic growth. The assistance that the Community FoodBank provides would not be possible without our help! 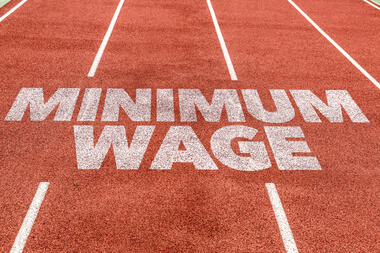 Effective January 1, 2019, New Jersey employers will generally be required to pay a minimum wage of at least $8.85 per hour to their employees, up 25 cents from 2018. 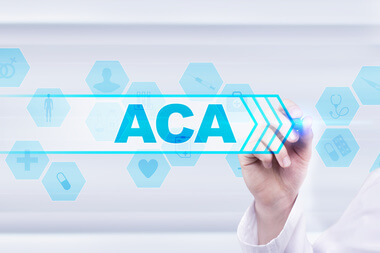 The ACA requires that employers with 50 or more full-time-equivalent employees provide minimum essential coverage that is affordable — or face a penalty for not complying. Starting in 2019, the affordability percentage will increase to 9.86 percent — the highest amount since the ACA's passage. This means that employees' premiums for the lowest-cost self-only coverage cannot be more than 9.86 percent of their household income. New Jersey’s Paid Sick Leave goes into effect on Monday, October 29th. 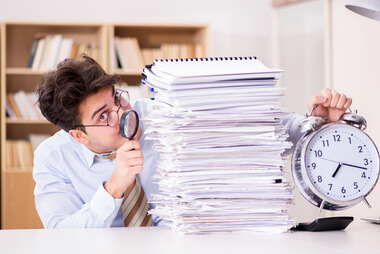 NJ employers must be prepared and provide notice to their employees on or before that date. This article summarizes some key provisions. It is recommended you review your current policies in comparison to the entire law. Within 12 months of October 9, 2018, and annually thereafter, all New York employers must provide training to all employees using either the state's model training program or one that equals or exceeds the state program. Starting October 9, 2018, all New York employers must adopt either the state's model sexual harassment prevention policy or one that equals or exceeds the standards of the state policy, and provide it to employees in writing. 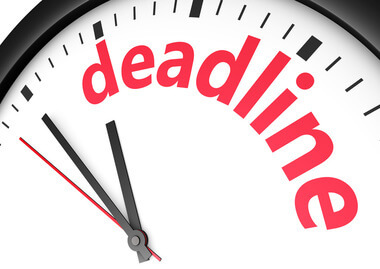 You are running out of time to maximize the tax deduction for pass-through business income enacted by Congress last year. In this webinar, Maria Rollins of KRS CPAs explains what exactly "qualified business income" is, and the moves you can and can't make to get the most out of your Section 199A deduction. 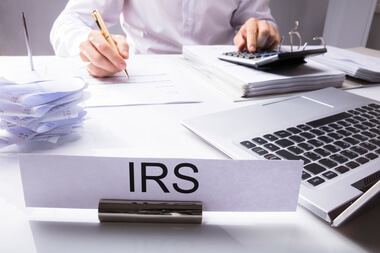 The IRS annually releases its Required Amendments (RA) list, which includes changes that individually designed retirement plans may need to make to remain qualified under the Internal Revenue Code. The Treasury Department and IRS are saying that they won't allow local governments to find creative ways to help deduct these taxes. New York legislators have passed a number of initiatives in the wake of the #MeToo movement and widespread allegations of sexual harassment in the workplace, including a law requiring employers to provide sexual harassment training to all workers. In addition to providing training, New York employers must adopt a written sexual harassment prevention policy and distribute it to employees. 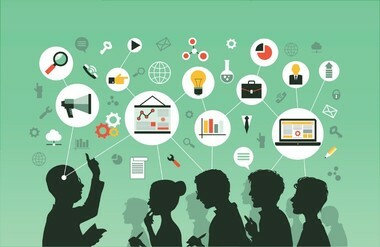 As with the training, state agencies will provide a model policy that employers may elect to use. 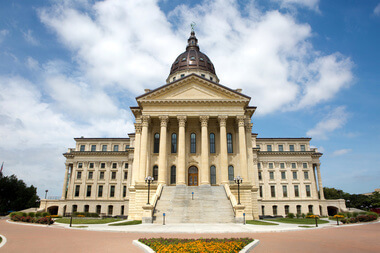 The written policy and interactive training provisions take effect on October 9, 2018. 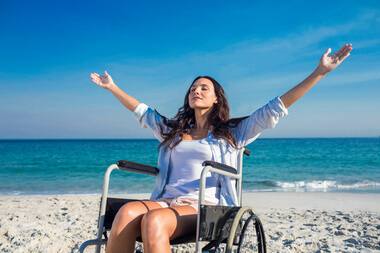 The tax reform laws passed at the end of 2017 added some benefits for people with disabilities, raising the amount of money they can put into their Achieving a Better Life Experience (ABLE) accounts. They may even be able to roll a limited amount of money from 529 plans into ABLE accounts. Finally, many will also qualify for the Saver's Credit for low- and moderate-income workers. Maria Rollins, CPA, MST has been invited by Kim Luthy of Allied Wealth Partners to participate as an instructor for Business University, which will be held September 20th and 26th in Parsippany. The goal of this two-part educational series is to help align the business owner's personal and business goals. If you are a busy business owner who wants to learn how to get the most out of their business, this course is for you! The KRS Insights Breakfast Series resumes on September 21st with an in-depth look at proposed legislation to legalize marijuana in the State of New Jersey. Join us on September 21st as Joshua S. Bauchner, Partner, Ansell Grimm & Aaron Counsellors at Law, discusses the new bills that, if passed, will dramatically expand the legalization of medical marijuana in the state. This is a must-attend event if you are, or are planning on becoming, involved in any aspect of Cannabusiness. KRS partner Jerry Shanker, CPA/ABV, CFF, recently authored "Significant Provisions of the Tax Cuts and Jobs Act Affecting Closely Held Businesses and Their Owners," in the August 2018 edition of the New Jersey State Bar Association's Business Law Section Newsletter. 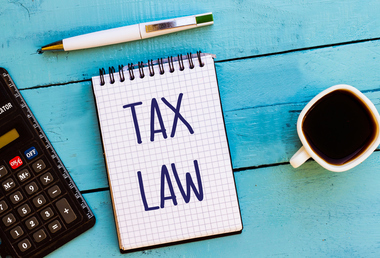 Shanker's article provides a general overview of the three provisions that affect closely held businesses, and examples to help business owners understand what they should consider in their tax planning. The Trump administration rejected attempts by New Jersey and other high-tax states, including New York, Connecticut, and California, to get around the federal cap on deducting state and local taxes by setting up charitable funds. Taxpayers will not be allowed to fully deduct charitable contributions in lieu of property taxes under new rules released by the IRS and U.S. Department of Treasury. The IRS is urging two-income families and folks who work multiple jobs to complete a paycheck checkup to verify that they're withholding the right amount of tax from their paychecks. If you are a two-income family or if you work multiple jobs — you may be more vulnerable to being under-withheld or over-withheld following the tax law changes. A paycheck checkup can help you see whether you're having the correct amount withheld for your personal financial situation. Each year, thousands of New Jersey children attend their first day of school without basic educational tools, like notebooks and backpacks. KRS teamed up with Jersey Cares to collect school supplies with the goal that no child will have to experience a first day of school without these basic necessities. “Community is very important here at KRS. We all understand that we can do more to contribute beyond our office walls. This is a small gesture that can have a deep impact on a child starting school,” said Managing Partner Maria Rollins. With all the recent bad weather, be sure you know the new regulations for claiming losses for home and personal property damages under the new tax laws. Prior to the Tax Code and Jobs Act, you were able to claim losses related to damages to your home or personal property with certain limitations. As with many other areas of the tax code, TCJA has created new regulations. For tax years beginning 2018 through 2025, individuals may only claim casualty losses from an event that is deemed a federally declared disaster by the President of the United States or to offset personal casualty gains. The deduction is reduced by $100 and limited to 10 percent of your Adjusted Gross Income (AGI). The home office deduction is available for homeowners and renters, and applies to all types of homes. 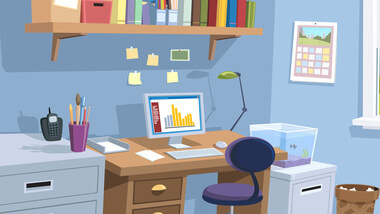 This post can help you determine if you are eligible to take a home office deduction, the types of deductions available, and what you need to do to stay in compliance with IRS rules. This week the Treasury Department issued proposed regulations outlining the types of companies and professionals eligible to qualify as “pass-through” entities and get a 20% tax deduction. This tax break was included in last year’s $1.5 trillion tax overhaul, known as the Tax Cuts and Jobs Act (TCJA). The 20% deduction is aimed at helping small businesses that pay income taxes instead of corporate taxes, such as partnerships, LLCs, S-corporations and sole proprietors. The rule has big implications for law firms, real estate trusts, family farms, and other companies that are structured so that their profits are taxed as individual income for their owners. 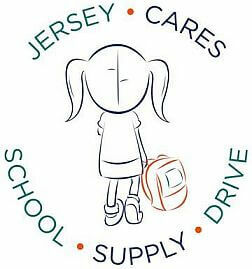 This year, KRS is participating in the Jersey Cares School Supplies Drive. We'll be collecting supplies until August 21. Students need backpacks, notebooks, pens and paper, rulers - anything you can donate helps! Don't have time to shop? Make a monetary donation and we'll do the shopping for you. The IRS has provided information about changes related to the Tax Cuts and Jobs Act on the rules for moving, vehicle and unreimbursed employee expenses. 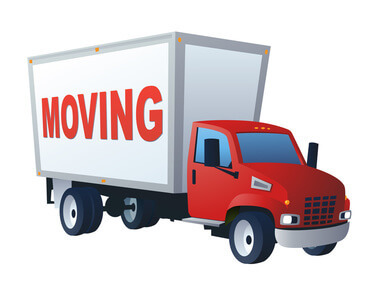 The new tax law suspends the deduction for moving expenses for tax years after Dec. 31, 2017, through Jan. 1, 2026. Another suspension relates to all miscellaneous itemized deductions that are subject to the 2 percent of adjusted gross income floor. The standard mileage rates for the use of a car, van, pickup or panel truck for 2018 have increased from 2017. "KRS has been recognized for our positive, supportive culture which enables our employees to be their most productive," says Managing Partner Maria Rollins, CPA, MST. If you are subject to NJ state employment insurance, New Jersey will be mailing you the annual Combined Assessment Bill and Rate Computation notice (SUI) in early July. This is a combined bill for seven different assessments levied by the state. Payment is due 30 days from the mailing date of the notice. The only notification that you will receive about the amount due is on this notice. 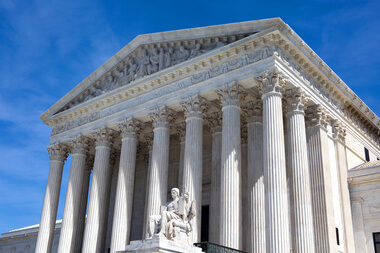 In a 5-4 decision, the Supreme Court swept away the nexus rule in South Dakota v. Wayfair, Inc., saying states could collect sales tax even if there is no physical presence. First of all, the Supreme Court did not say that states must collect sales tax or how, only that they could. It is up to the 45 states that impose a sales tax to decide how they'll take it from here. One of the greatest challenges facing a family business is planning for business succession. Properly coordinating your business and estate planning is a must, but where do you get started? Join KRS partner Jerry Shanker, CPA/ABV, MST, as he co-presents the Business Succession Planning Workshop with George Lee, Vice President of MassMutual NJ-NYC, and Jeff Hollander, Attorney and Assistant Vice President of MassMutual. They will present best practices for family business owners on business valuation and succession planning in two separate workshops on July 9 and July 23. Many law firms are still scrambling to come to grips with the tax code changes and develop tax planning strategies around them. That's why we published a free downloadable guide, 'The Tax Cuts and Jobs Act of 2017 – Considerations for Law Firms." The Guide will help managing partners and other executives at law firms determine the best strategy for optimizing the firm’s and partners’ tax positions. KRS CPAs has promoted Kelley DaCunha, CPA, to Accounting Manager. She previously served as Senior Accountant. Kelley joined the firm in 2009 after receiving a BS in Accounting from Rutgers University and her CPA license. “Through her hard work and dedication, she has proven that she is ready to lead a team and continue to grow as a manager. Her training and support of KRS staff members is so beneficial to the firm’s commitment to provide excellent service. Kelley truly exemplifies what KRS is looking for in our team members,” says Maria Rollins, CPA, MST, and the firm's managing partner. 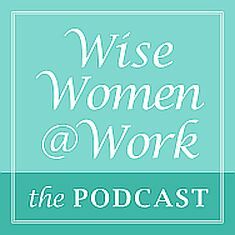 Every employer should be aware of two components of SUTA: the annual wage base and the SUTA tax rate. 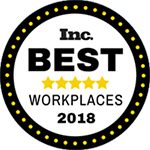 KRS CPAs has been honored with a 2018 Inc. Best Workplaces Award. This award recognizes successful small- and mid-sized businesses that value company culture, offer standout employee benefits, and prioritize employee well-being. More than 1,800 companies (and 81,365 employees) of all sizes and industries were nominated for Inc.’s Best Workplaces Award. 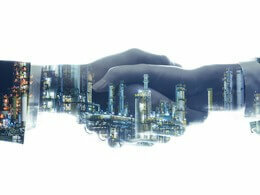 KRS Partner, Gerald Shanker, explained, “We have created a relaxed environment. We’ve implemented a Flexible Work Program -- there are no mandatory hours during tax season. Employees can set their schedule for the work week as long as they are working the core hours of 10am to 3pm.